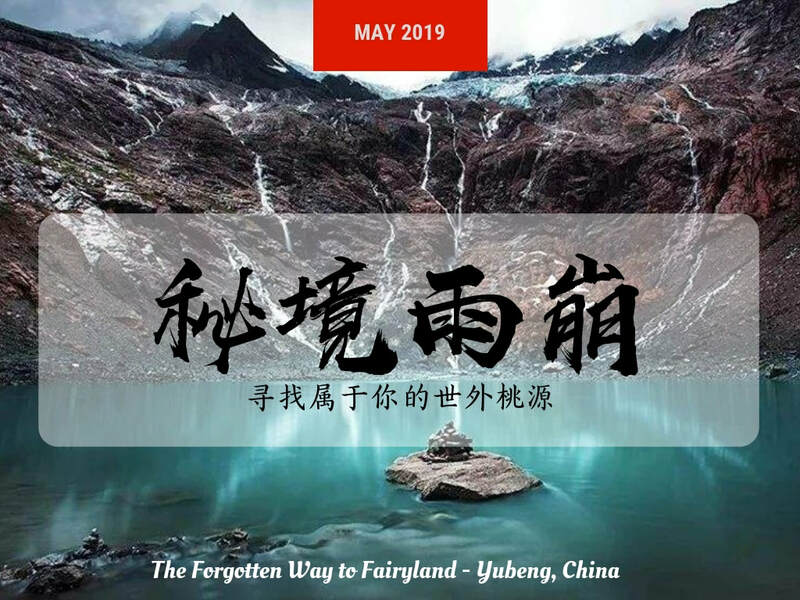 You probably have heard of the Shangri-La or Tiger Leaping Gorge in Yunnan, but you may not have heard of Yubeng village. If you are looking to travel to somewhere remote where you have not seen it on social media before, you may want to join us for this trip. 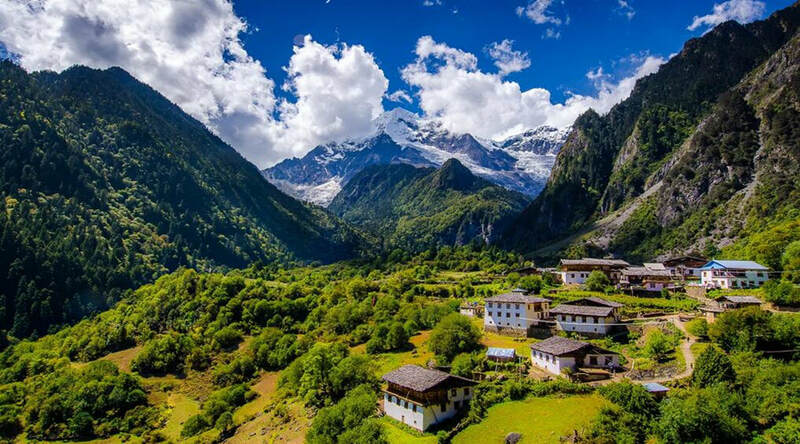 Yubeng Village is located in Deqin County, Yunnan Province. 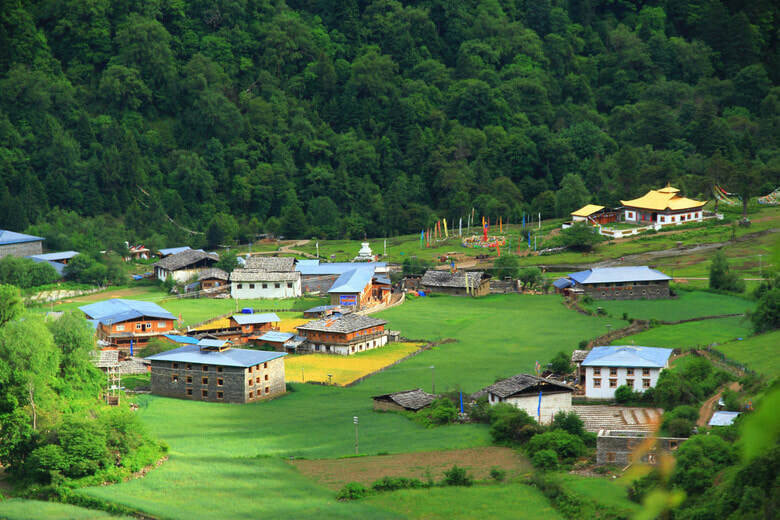 There are only about 30 families residing in Yubeng village. For hundreds of years, it was never discovered, simply because of its seclusion. 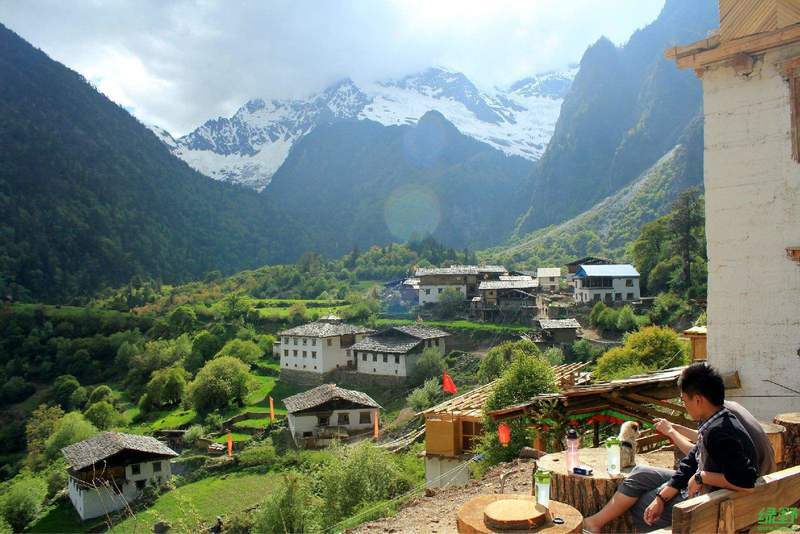 Situated at the foot of the Meili snow mountain range, Yubeng village is not very accessible to the outside world. It takes one whole day to trek to the village from the closest paved road. Till today, no road has been built to the village because of the mountainous terrain. 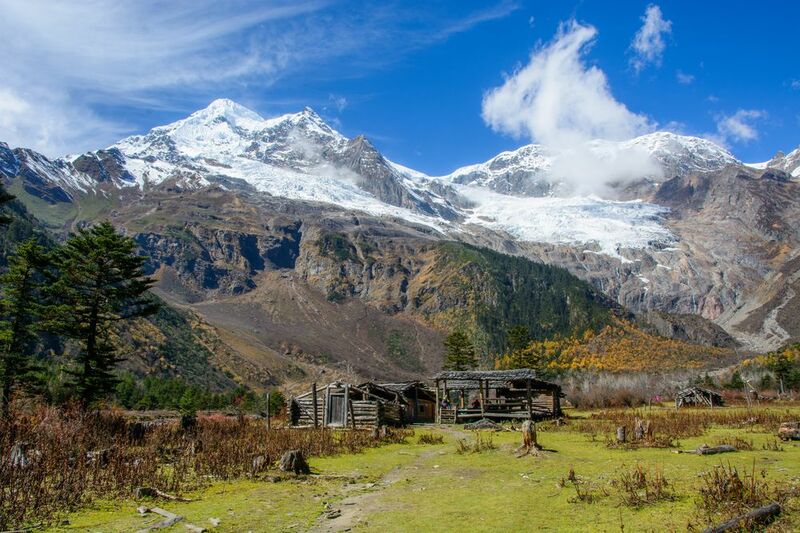 If you are an adventure seeker and also love to take stunning photos when you are on holiday, the ‘2019 Yubeng Trek’ gives you the best of both worlds. 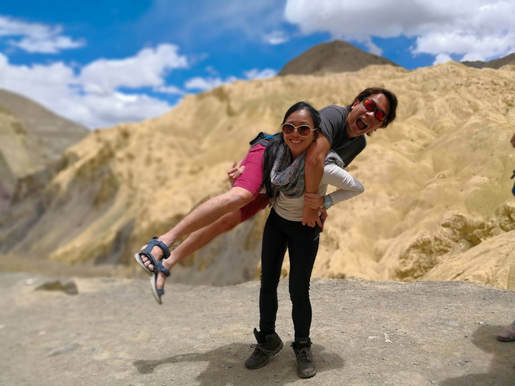 We have customised the package in a way that you will get to experience the ruggedness of Yubeng trek and also get your fair share of ‘Instagram superstar moments’. Here are some sights that you will come across during the trek and road trip. We touch down at Shangri-La on the first night before continuing our road trip to Ganden Sumtseling Monastery the next morning. Shangri-La also means "the sun and the moon" in Tibetan language. 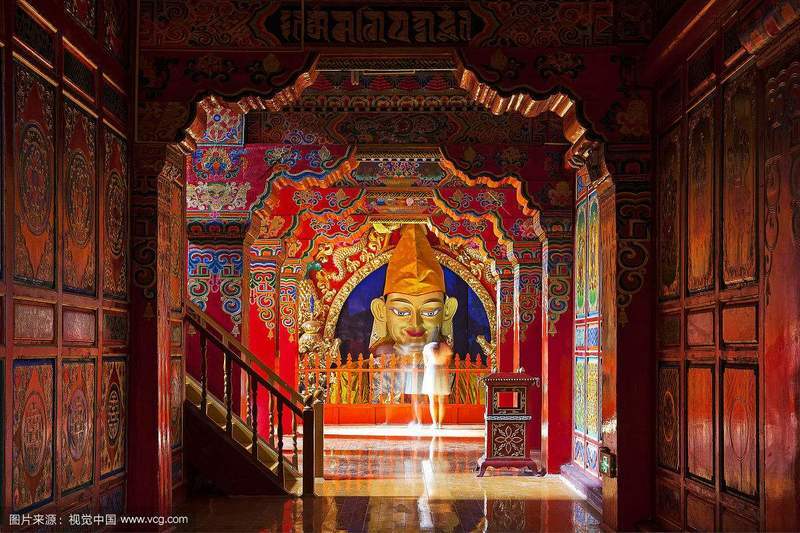 The word “Shangri-La” first appeared in a 1933 novel, “The Lost Horizon” by British writer James Hilton. The story was about Robert Conway, a British diplomat onboard a hijacked airplane. 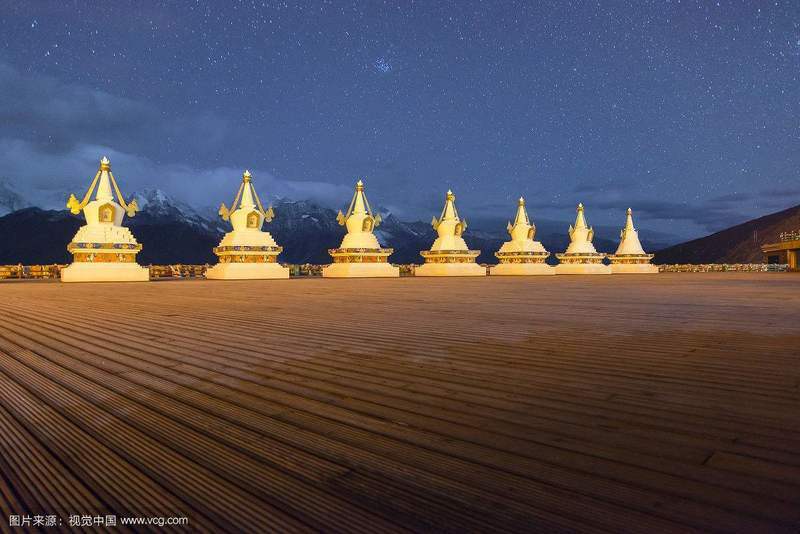 They landed on a remote Tibetan area, Shangri-La, where there is no war or crime and the residents enjoy longevity. Majority of the survivors were swayed away by the beauty and peacefulness of Shangri-La that they chose to reside at Shangri-La permanently. 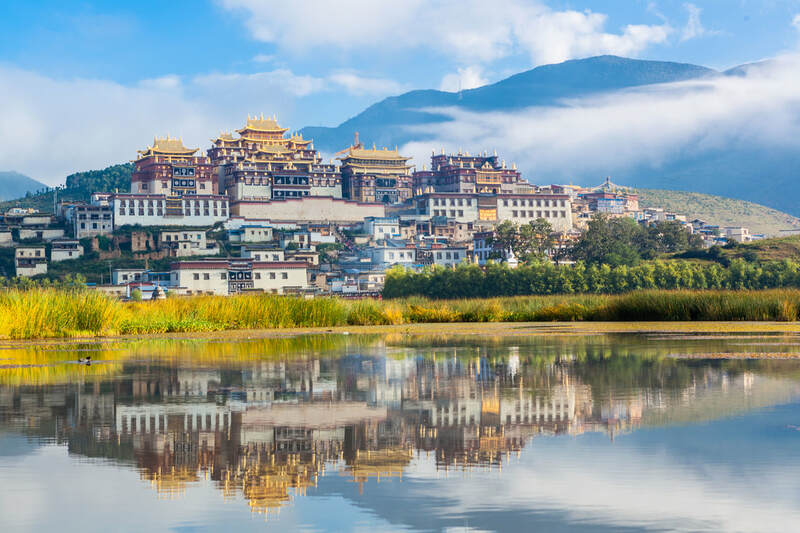 Despite the beauty of Shangri-La, Robert, together with his brother, George and Maria (one of the Shangri-La’s resident) decided to set off and return to England. After the trio left Shangri-La, Maria start to age rapidly and eventually, pass away. George committed suicide soon after, due to the death of Maria. 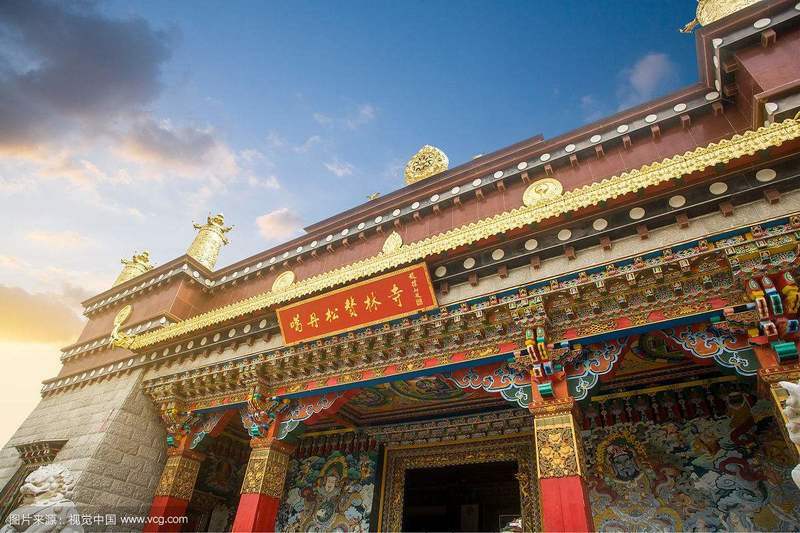 Dukezong Ancient Town is a Tibetan Town located in Shangri-La. 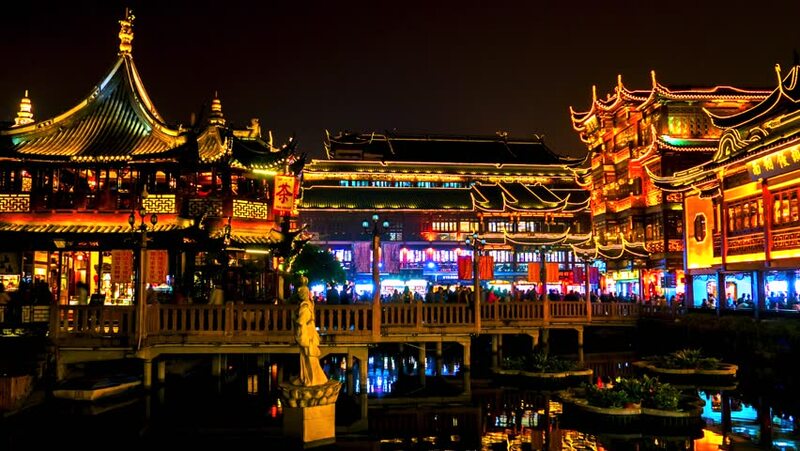 It is also known as the White Stone City or Moonlight City as the ancient town reflects silver sheen when the night falls due to the extensive usage of white clay for the structures in the town. 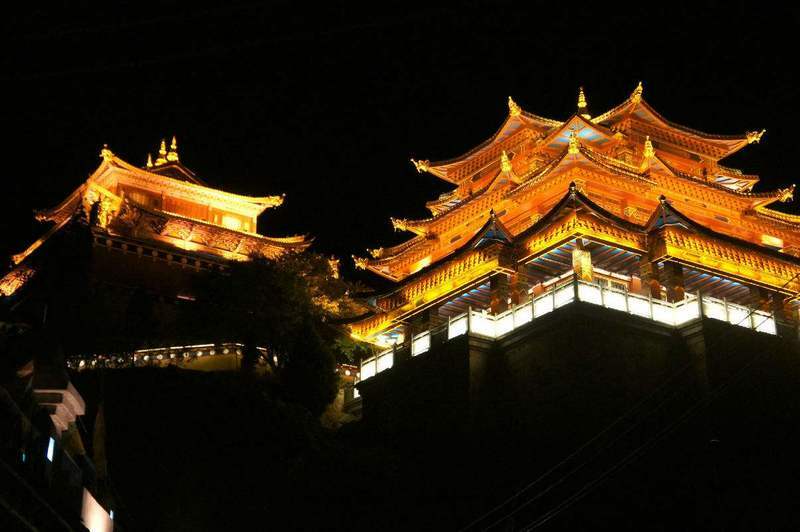 As one of the oldest towns in the region, it is also known as the 'footstep of Shangri-La'. Dukezong Ancient Town is also the home to one of the largest prayer wheels (转经筒) in the world. A prayer wheel is a cylindrical "wheel" with prayers or depictions on it. Tibetan Buddhist tradition provides that spinning a prayer wheel can have the same effect as reciting prayers out loud. 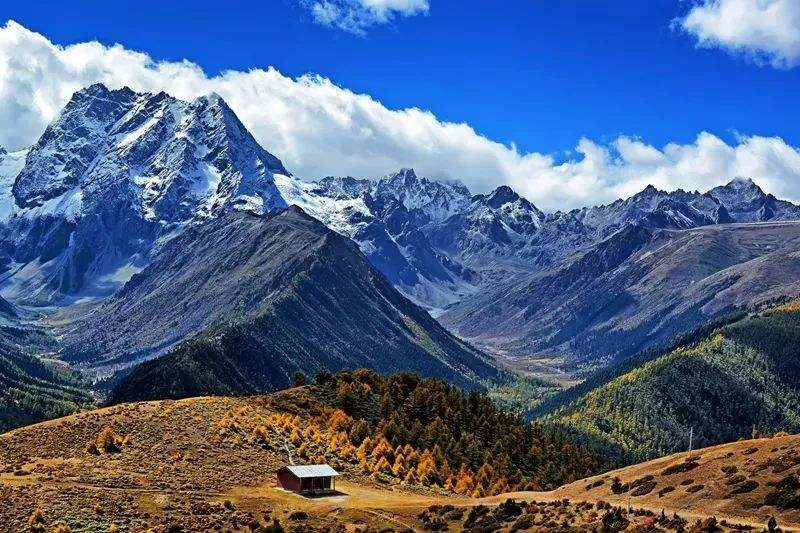 Meili Snow Mountain range has a total of 13 peaks with an average height of 6,000 metres above sea level and is also known as the Thirteen Prince Peaks (十三太子峰). 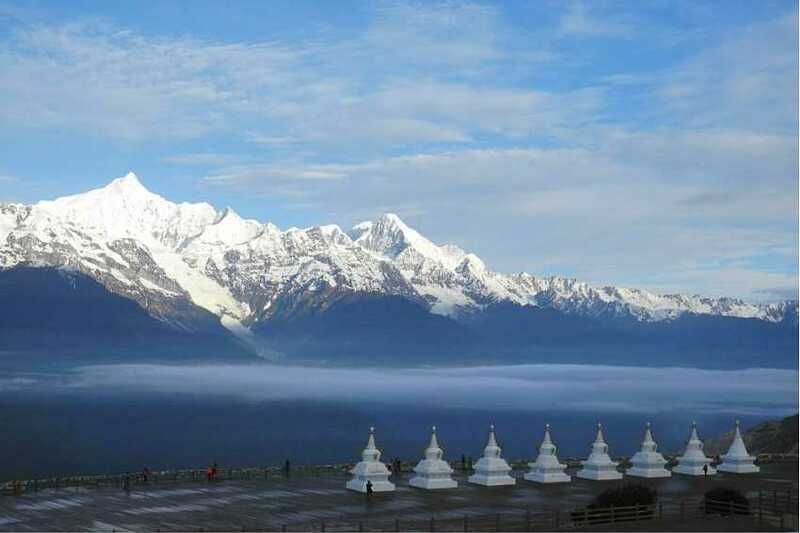 The highest peak, Kawagebo (卡瓦格博峰) stand at 6,740 metres above sea level is also the highest peak in Yunnan Province. Despite the fact that there were already people who have conquered the highest mountain in the world, Mount Everest, nobody has conquered the Kawagebo Peak up till date. Since 1902, many mountaineers from Britain, China, Japan and United States have tried attempting the summit but failed. In 1991, 17 mountaineers from China and Japan lost their lives to an avalanche, one of the worst climbing accidents in China. 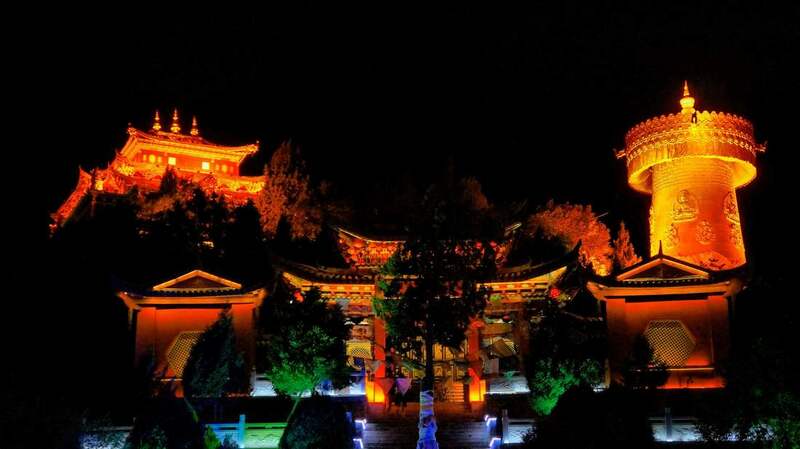 Ganden Sumtseling (Songzanlin) Lamasery (松赞林寺) is the largest Lamaism Temple in Yunnan province as of today. It has a history of over 320 years. 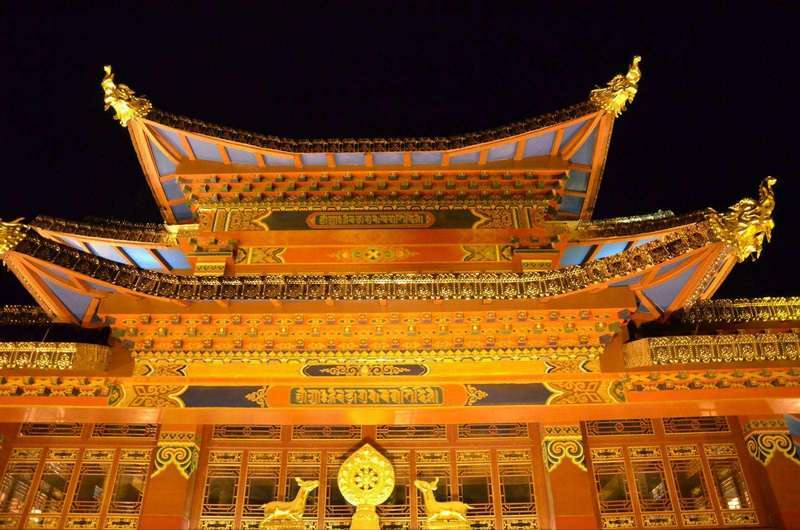 In the Qing Dynasty, Emperor Kangxi appointed Dalai Lama V to oversee the building of the Ganden Sumtseling (Songzanlin) Lamasery in 1679. 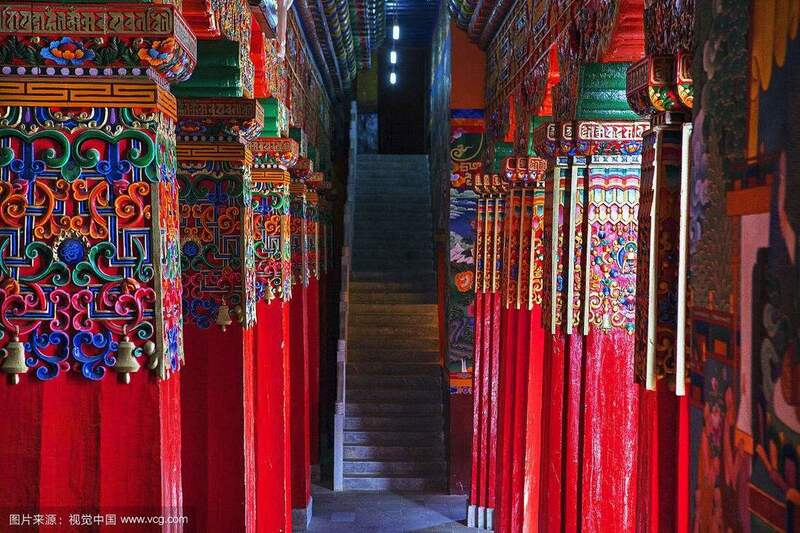 When the construction was completed in 1681, Dalai Lama V named it Ganden Sumtseling (Songzanlin) Lamasery. 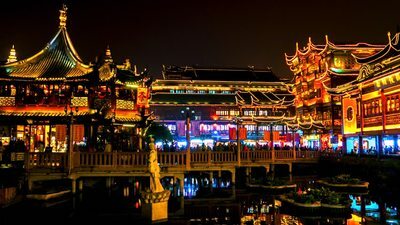 Emperor Yongzheng later bestow its Chinese name as Guihua Lamasery. White Horse Snow Mountain National Nature Reserve (白马雪山) is also known as Bailu Snow Mountain and Baimang Snow Mountain (白芒雪山). 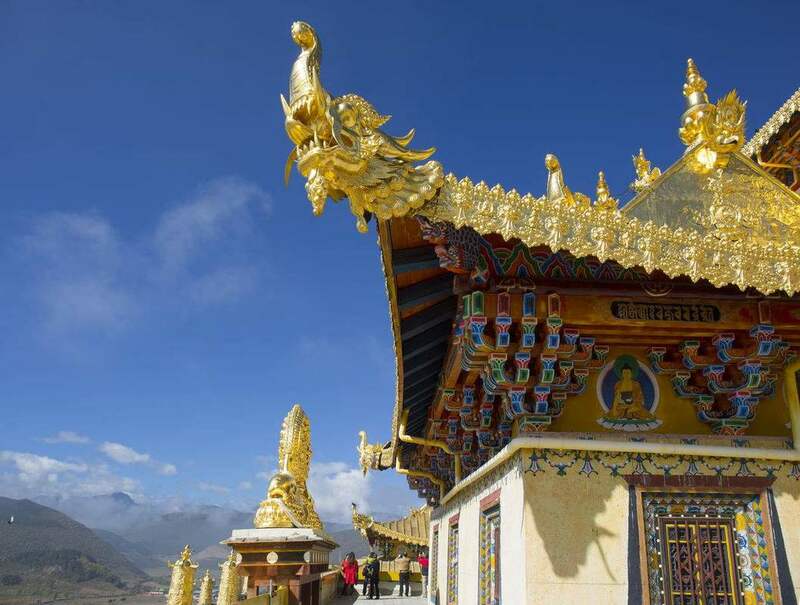 It is located at southeast Deqin County, Yunnan Province, China. 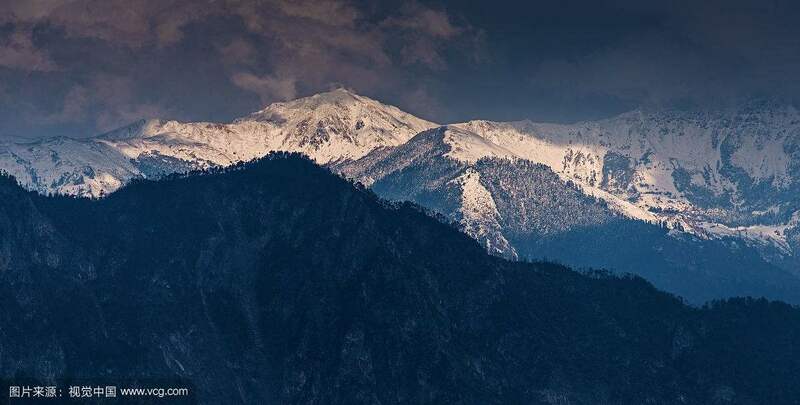 The main peak of the White Horse Snow Mountain is Zhalaqueni Peak (扎拉雀尼峰), standing at 5,640 metres above sea level. The top of the mountain is covered with snow and glacier all year round. It house a rich varieties of animals and plants such as Yunnan golden monkey and clouded leopard. During the road trip, we will stop by the mountain pass at 4,292 metres for sight-seeing and photo-taking. Feilai Temple was originally built in 1614 during Ming Dynasty (1368-1644). 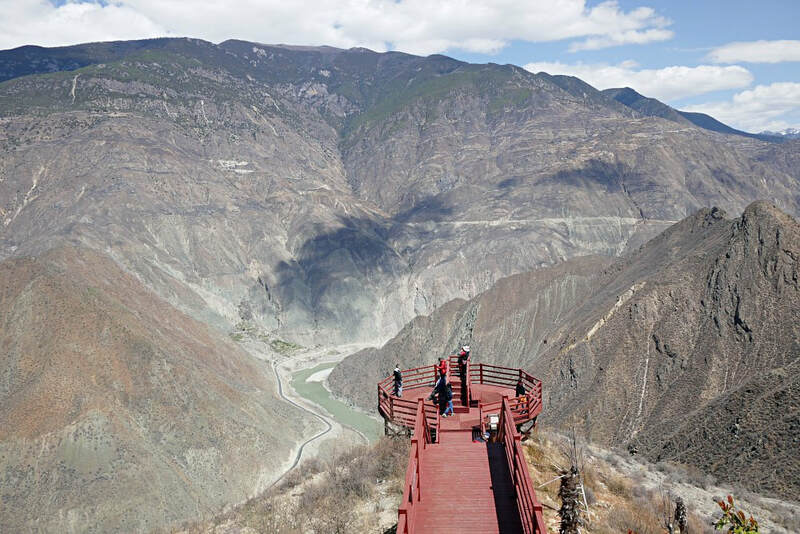 Directly facing the Kawagebo Peak (卡瓦格博峰) of Meili Mountain Range, it’s viewing deck is a ‘must-go’. We will spend a night nearby and catch the sunrise (日照金山) on the next morning. 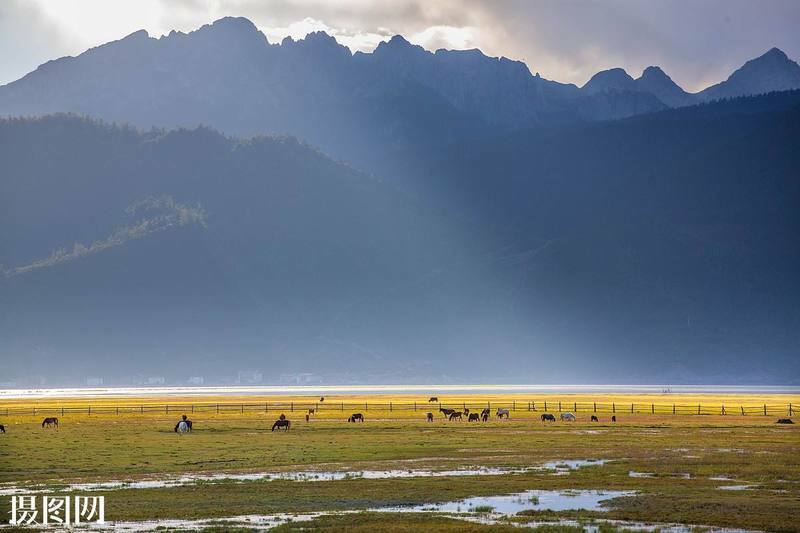 Give your eyes a feast to the mesmerising view of Meili Snow Mountain range. 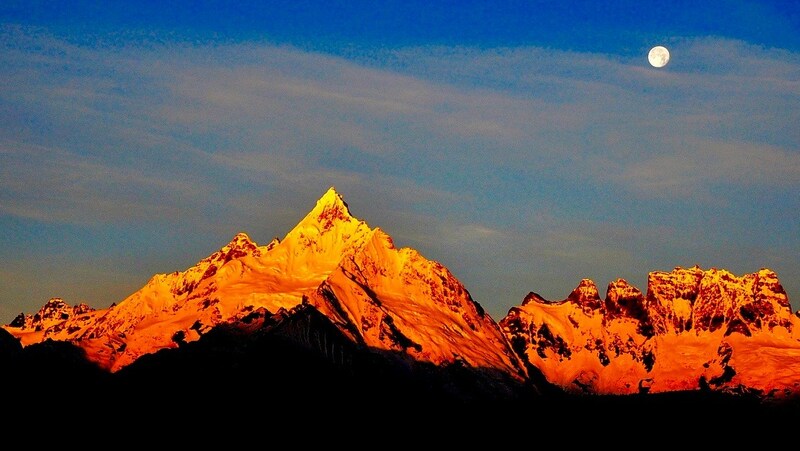 Enjoy the surreal moment as the sun ascends while it cast its golden rays on the mountain range. 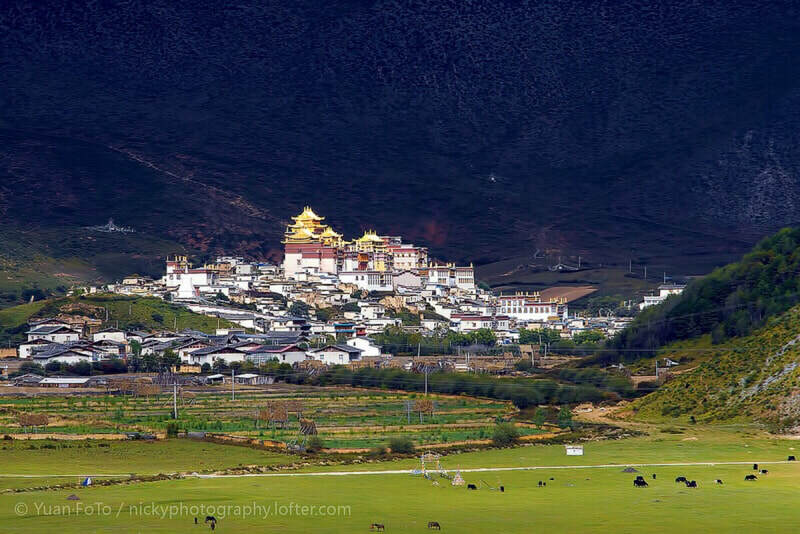 Yubeng Village in Tibetan language means the gathering place of treasures 【Chinese: 珍宝聚集之地】. 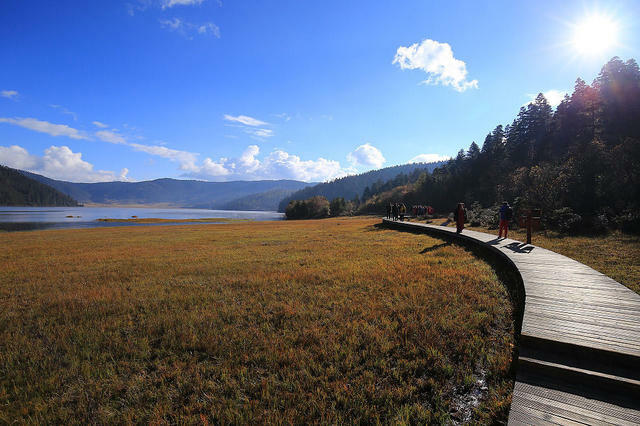 As there is no highway access to Yubeng village, the only way to get there is by trekking or horse-riding for 18 kilometres. 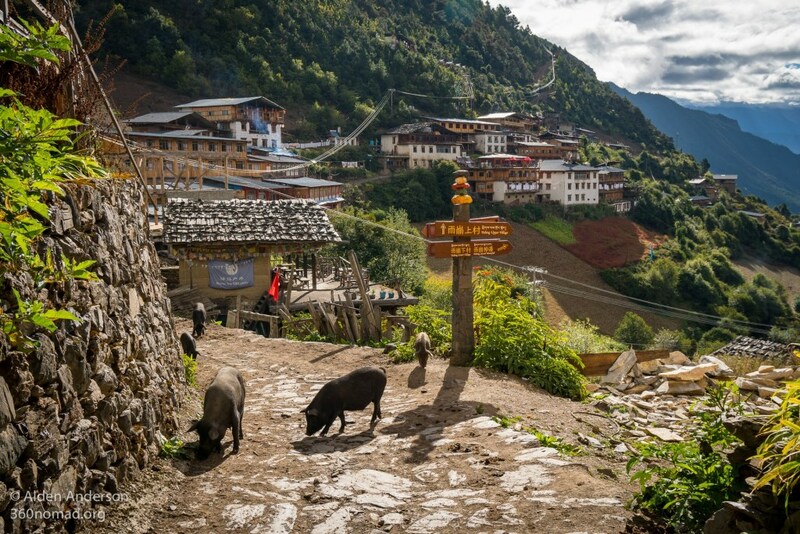 Situated below Meili Snow Mountain, there are only about 30 resident families in Yubeng village. It is also known as the mini Shangri-la and fairyland. It is far from the hustle and bustle of the city life and one can only reach the village by trekking or horse riding. However tiring it is, it is definitely worth the effort trekking there. 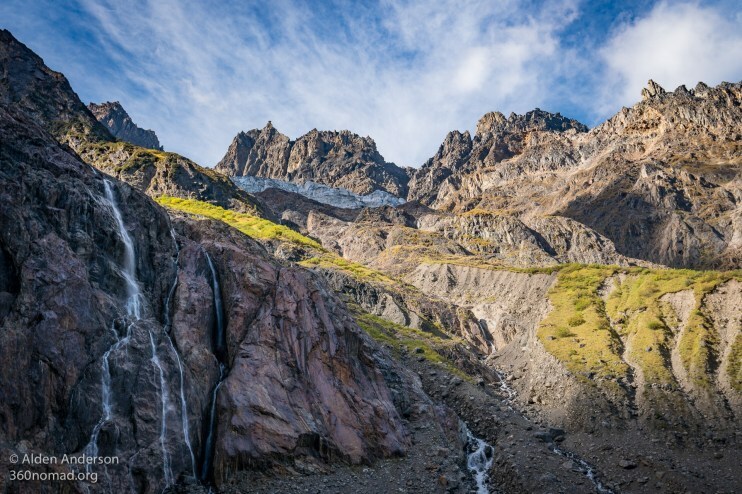 Once you enter the village, you will be presented with a panorama view of the beautiful landscape which include snow mountains, grasslands, forests and waterfalls. 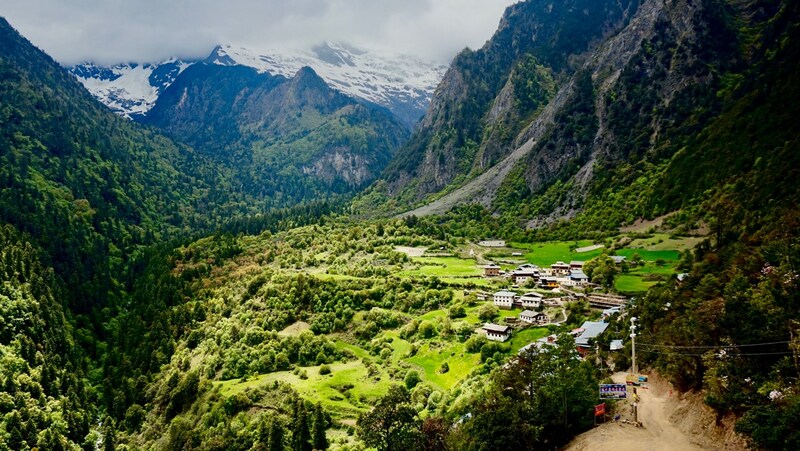 According to the legend, Yubeng Village was unknown to the outside world for hundreds of years. One day, an old man was trying to get some barley from Xidang Village near Lancang River. No one knew where he came from, some tried to tail him but lost him on the way. When he came back for more food again, the Xidang villagers made some holes on the bag that carries the grains. As soon as the old man starts his journey home, they start tailing him again. The old man didn’t notice those holes on the bag and spilled some grains along the way. This time round, the villagers lost track of him after a huge rock. 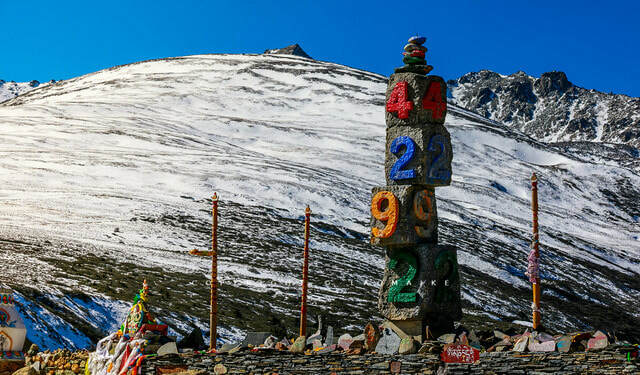 When they pried up the rock, they were greeted by the magnificent landscape of Yubeng Village with Meili Snow Mountain in the backdrop. 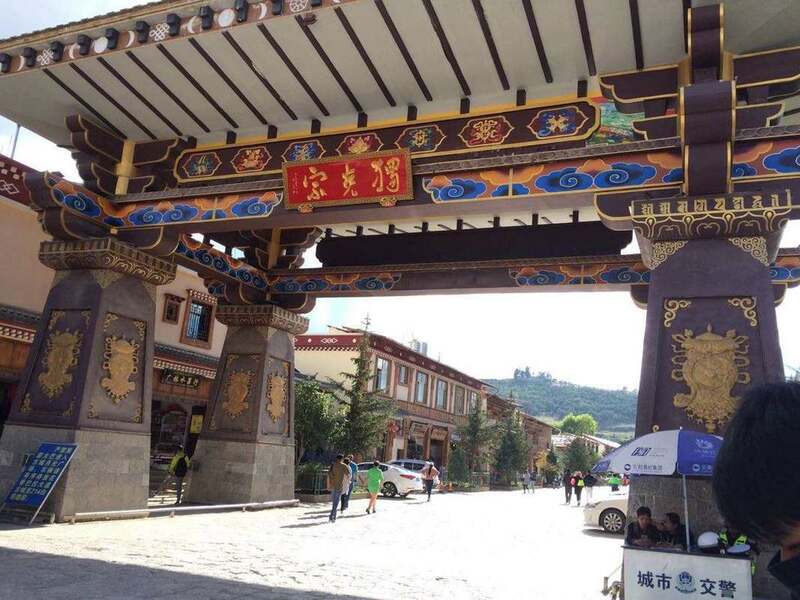 Some of you may also be interested with the rare fraternal polyandry practices (一妻多夫制) in Yubeng village where two or more brothers are married to the same wife at the same time. 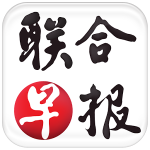 According to the statistics provided by 许韶明 in 青藏高原的婚姻和土地：引入兄弟共妻制的分析, as of 2007, there are 10 households with polyandry practices in Yubeng village. Trek towards Yubeng 雨崩 - We will go through the mountain pass 那宗拉垭口 (3,700m ASL) and arrive at Yubeng Upper Village 雨崩上村 – 3,100m ASL. 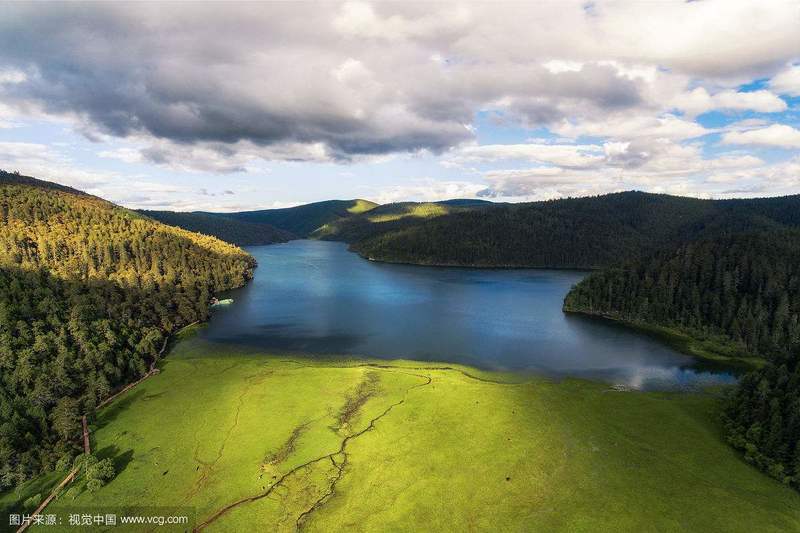 The trek is about 18km; 12km uphill, 6km downhill (estimated 6 to 7 hours). 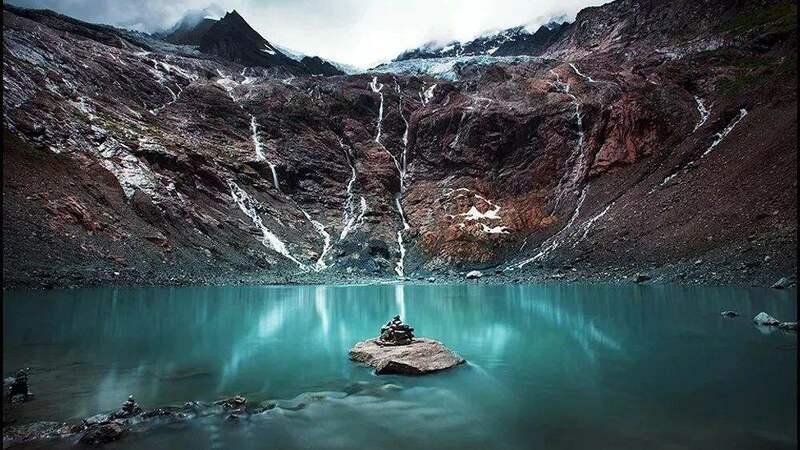 Activities : Trek to (a) Glacial Lake 冰湖 – 3,900m ASL, (b) Xiao Nong Base Camp 笑农大本营 – 3,650m ASL and (c) return back to Yubeng Village – 3,100m ASL​. The trek is about 22km (estimated 7 to 8 hours). 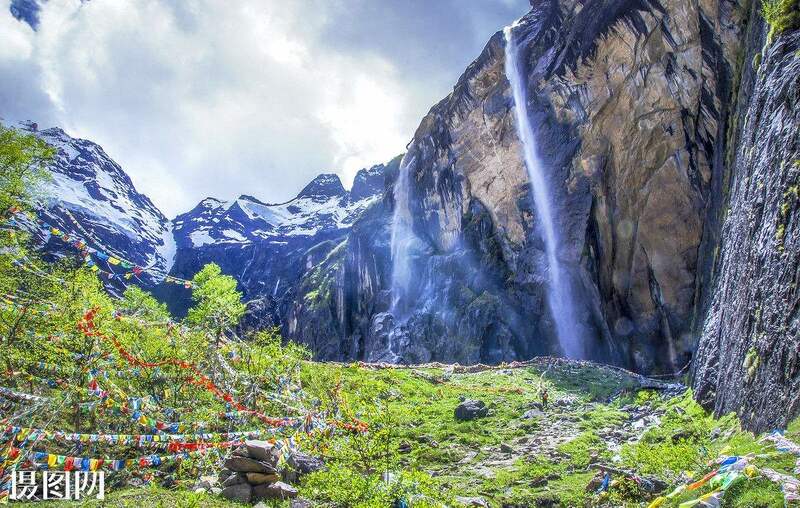 Option B – Trek to Yubeng Waterfall 雨崩神瀑 3,800m ASL and back to Yubeng Village in the afternoon – 3,100m ASL. 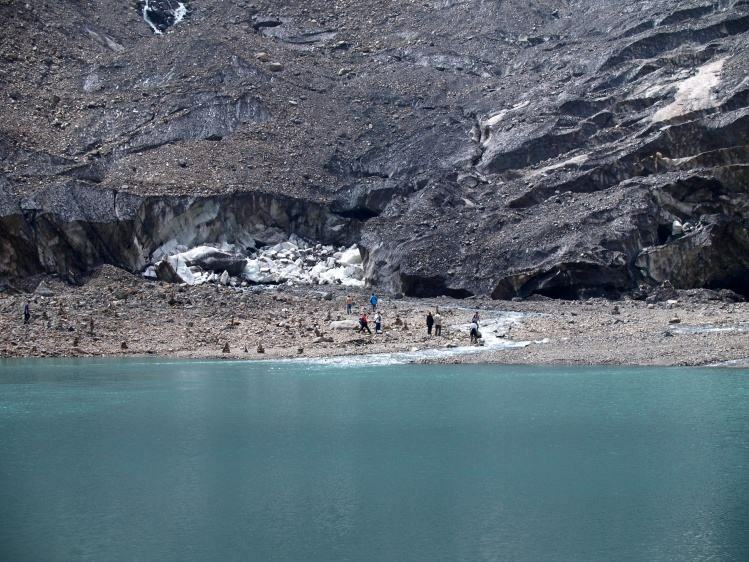 The trek is about 14km (estimated 5 to 6 hours). Early bird discount of SGD 100 for participants who confirm their slot (deposit) before 31 December 2018. SGD500 deposit will be collected to confirm your slot. Anything else not mentioned in inclusion list. *Yubeng trek requires moderate degree of fitness due to the high altitude and long distance (14 to 22km) trek. It would be advisable to seek a doctor opinion should you have any pre-existing medical conditions e.g. heart disease. Step 1: Deposit of $500 via ATM/Bank transfer to ADVENTURES UNLIMITED, DBS CURRENT A/C - 0039351950. Step 3: Receipt for payment will be issued and further instruction will be provided. Step 4: Pre trip briefing will be arranged and you will be added into a dedicated whatsapp chat for this trip one month prior to the trip. We would also collect the balance at this point. Details will be given to confirmed participants. 1. This event is organised by Adventures Unlimited (TA02844), a licensed travel agent registered with the Singapore Tourism Board. – they are paying a deposit or payment of at least S$500 per person.